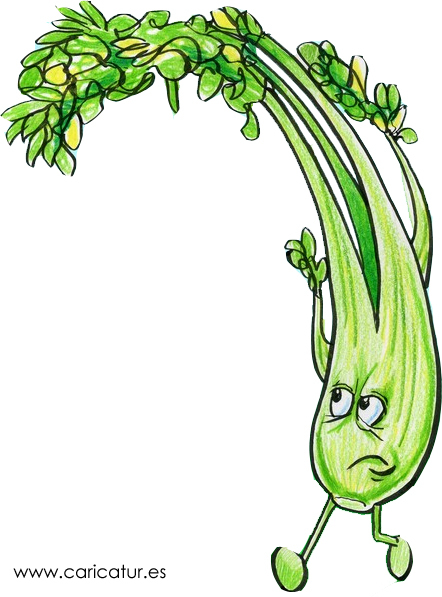 Celery cartoon. Image may be used non-commercially with a link back to my home page. Of use to food and lifestyle bloggers, nutritionists, and students. Please make sure to credit me if using in hardcopy material. For commercial use contact me directly.